Sweet, juicy fruit-with red to purple black flesh attractive ornamental and delicious edible. ﻿• CAROLINA BLACK ROSE: Excellent size, colour and texture. Very good disease resistance. 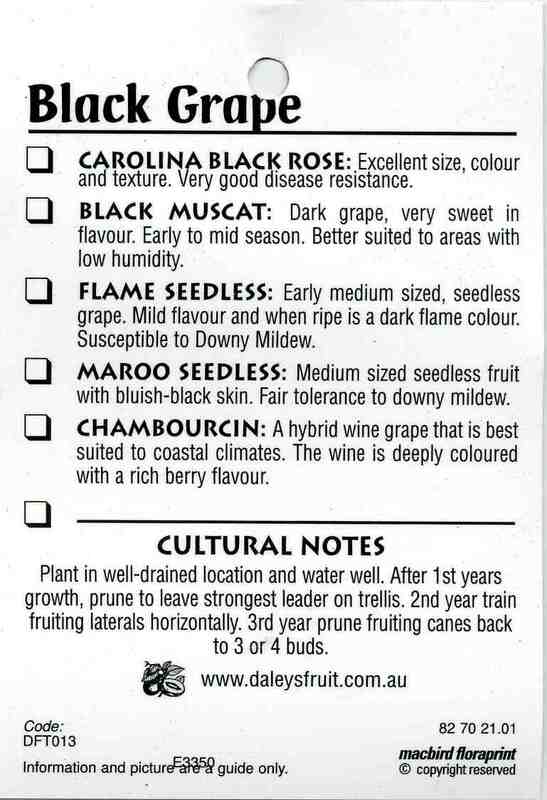 • BLACK MUSCAT: Dark grape, very sweet in flavour. Early to mid season. Better suited to areas with low humidity. 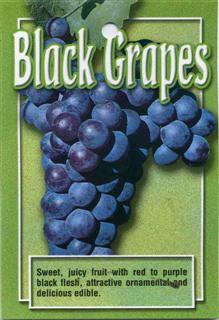 • FLAME SEEDLESS: Early medium sized, seedless grape. Mild flavour and when ripe is a dark flame colour. Susceptible t o Downy Mildew. 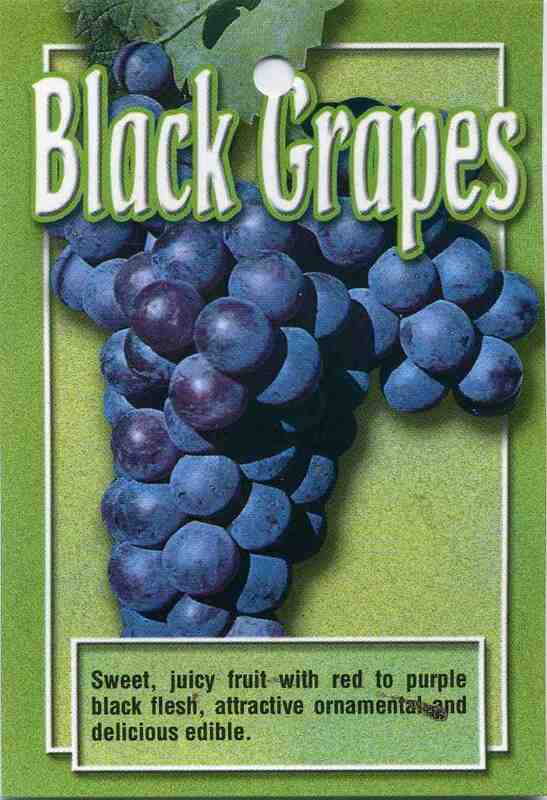 • MAROO SEEDLESS: Medium sized seedless fruit with bluish-black skin. Fair tolerance to downy mildew. 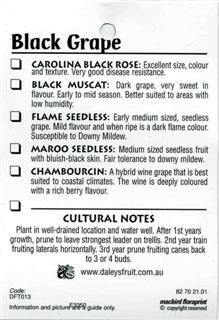 • CHAMBOURCIN: A hybrid wine grape that is best suited to coastal climates. The wine is deeply coloured with a rich berry flavour.